At Zeigler, we understand the importance of a clean work space for your employees. A clean work environment ensures health, positive energy, and thus productivity. 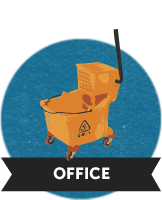 We provide the consistent and thorough cleaning services you need to help your office run as efficiently as possible — and we do it on a flexible schedule that works for your business. With Zeigler you’ll always find direct access to Brian, our owner, and a team that values being available to meet your specific needs. 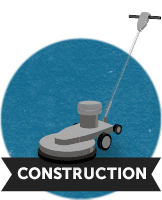 We understand that one of the most important steps to any construction project is the final cleaning stage before the site is ready for use. We also understand that deadlines frequently change in this line of work, and we take pride in being both flexible and reliable to be there for you whenever you need us. The last thing you want at the end of a project is to drag out the cleaning process, and we pride ourselves in ensuring no items are left on the punch-list when we’re through — only a finished site you’re proud to present to your clients. The environment in which you’re selling your product can be just as important as the product itself. We’re consumers too, and we can appreciate an appealing place to shop. 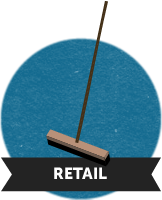 We guarantee the quality cleaning services you need to keep your atmosphere a place where your customers want to be. And we do it on a flexible schedule that works with your store’s hours. 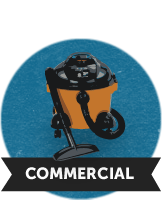 No matter the size or type of your operation, we’ve got your janitorial needs covered. We proudly tailor our services and scheduling to your specific requirements to provide you with a personalized experience you won’t find elsewhere. Our team has years of experience providing exceptional attention to detail, so we can ensure your space is always looking up to your standards.